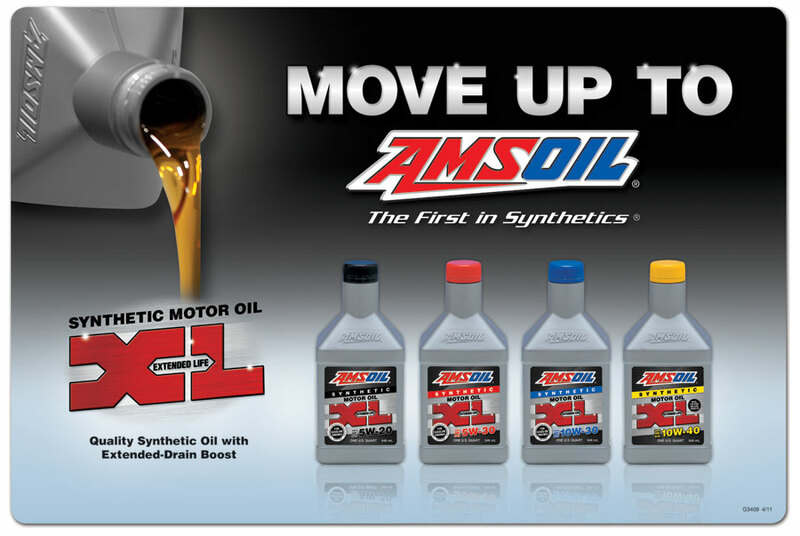 AMSOIL's Extended Life XL Synthetic Motor Oils employ an extra treatment of alkaline additives, added to their premium synthetic base stocks, to neutralize acids. The extra additive package effectively raises the total base number (TBN), and resists shear to provide superior performance throughout the entire drain interval of up to 10,000 miles or six months, whichever comes first. AMSOIL's XL oils also contain Extended Drain Boost for longer service life, in keeping with the lengthening oil change intervals of newer cars. XL is formulated to meet the more-stringent ILSAC GF-5 and API SN service categories, and they offer better engine protection for reduced maintenance costs in gasoline engines. They also provide better fuel economy compared to conventional motor oils, and they're friendly toward modern emission control systems, helping your engine to run clean and stay clean. Thermal breakdown effects including evaporation and viscosity loss are also significantly reduced, while providing excellent hot and cold engine protection.